Do you find yourself needing a cup of coffee or other caffeine-infused beverage to start the day? Or needing a “pick me up” during the day? You’re not alone. A recent study says many New Jersey residents report trouble sleeping. According to the Rutgers Center for Health Policy, almost one-third of residents reported having trouble sleeping the week before they were interviewed, and about 43 percent reported trouble a month before they were surveyed. Now, perhaps, we finally know why there are so many 24-hour diners in the state. A whole bunch of us are looking for something to do around 2 a.m. because we can’t sleep. Might as well grab some bacon and eggs. The reasons for the lack of shut-eye vary, but 36 percent cited either not enough time, noise (read: a snoring partner) and general trouble falling and staying asleep. Also, if you think Grandpa seems to be dozing off a lot, you’re not imagining things. About a third of those over age 65 reported sleeping issues, compared to 53 percent of those ages 18-29. And finally, in a result that should shock absolutely no one, 46 percent of adults with children in the house reported not enough time to sleep compared to only 26 percent of adults living alone. While we didn’t see this statistic in the survey, we’d guess the number would jump to about 99 percent for parents of newborn children. The survey also points out health dangers that can come when folks don’t get enough sleep, such as heart disease and obesity. Also, a lack of sleep can affect performance at work. It’s generally not a good idea to fall asleep while on the job. 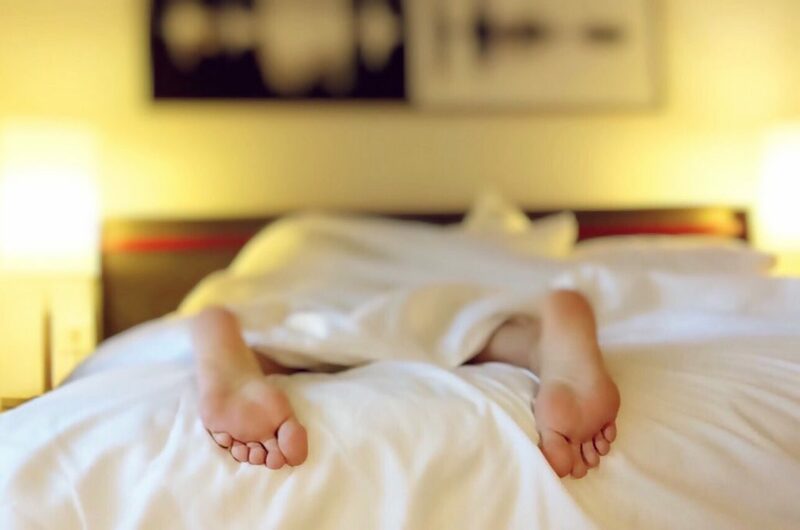 The National Sleep Foundation has a number of tips to help people fall asleep, such as establishing a bedtime routine, exercising during the day and avoiding eating heavy meals at night. In the meantime, just know that you’re probably not alone as you struggle through your day, and, yes, your coworkers really do yawn a lot.